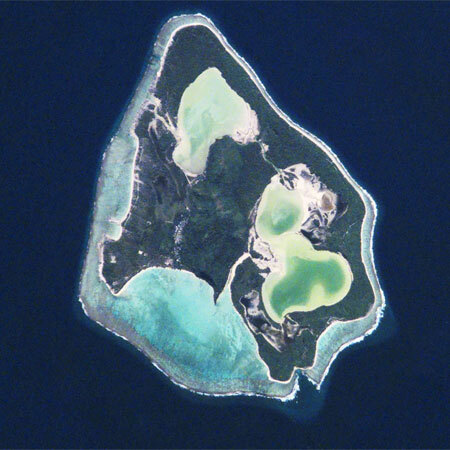 Maiao is a small island of around 9 square kilometers, located a few miles away from Moorea. The island to which it is legally attached. Its population of 400 people lives on the main village located on the southwestern tip in the island. Topography of the island is hilly with two brackish water lakes : the Rotoiti lake in the north and the Rotorahi lake in the east. The water emitted from these two lakes often encourages rainbows to form over the island. This is why the island is sometimes called Teanuanuaiterai which means rainbow in the Maori language. Maiao also has a marshy area and a turquoise-blue lagoon which give beautiful shades of colors to the island. Maiao is accessible only by the sea thanks to two passes : a natural pass and another man-made in the reef. The economy of the island relies on the pandanus cultivation. The pandanus is a leaf cultivated and used as roofing for traditional fares (houses). You can observe this natural fiber roofing in bungalows of the most luxurious hotels in french Polynesia. There is a special atmosphere on this island that hides many secrets. This mystery is essentially due to one thing : the voluntary isolation of the island. Indeed, the inhabitants of Maiao live isolated from the outside world for many years. They instituted a rule that prohibit every « foreigner » on the island. Until today, foreigners are forbideen to spend a night on the island without a formal invitation. This banning dates from the 1930s. At that time, the Englishman Eric Tower landed and opened his own shop on Maiao island. Immediately, the natives took to the imported products sold in this store. In turn, credit was attributed easily by the store feeding to this new found thirst for modern goods. Eric Tower exploited the situation to appropriate around 80% of the island from the credits contracted by the majority of his customers. In 1935, the pastor Moreau put in order the situation by persuading the population to form a cooperative to buy their lands back. Since this unfortunate episode, the inhabitants of Maiao fueled a real mistrust towards anything that is “foreign” (this extended to the rest of French Polynesia). Because of this voluntary isolation, the island has not been affected by progress of the modern world. The lifestyle harks back to that of Tahiti in the past. The inhabitants live on their own natural resources. For instance rainwater is collected for daily use. 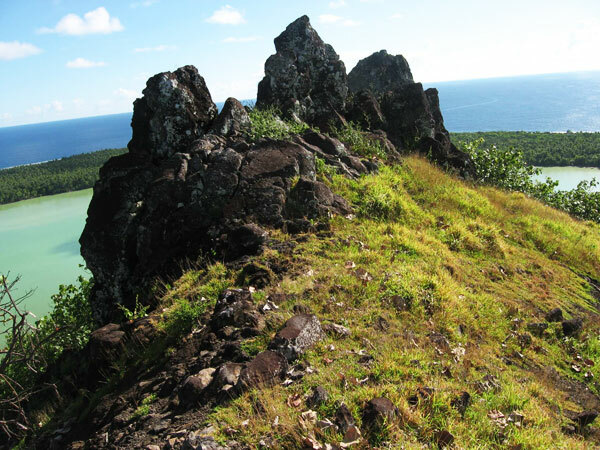 For obvious reasons, the island of Maiao is not in any tourist guide and is not sold by any tour operator. For the same reasons, this authentic island offers a vision of the French Polynesia in the olden days, a breathtaking journey through time and space.